Electric cooktop CE 490A broad and sturdy stainless steel frame surrounds the CE 490 glass ceramic cooktop, which can be intuitively operated via its removable magnetic knob on the Twist-Pad. All kinds of pots and pans can be combined in various ways. Four Super-Quick cooking zones in three different sizes allow the desired heat to be reached very quickly. 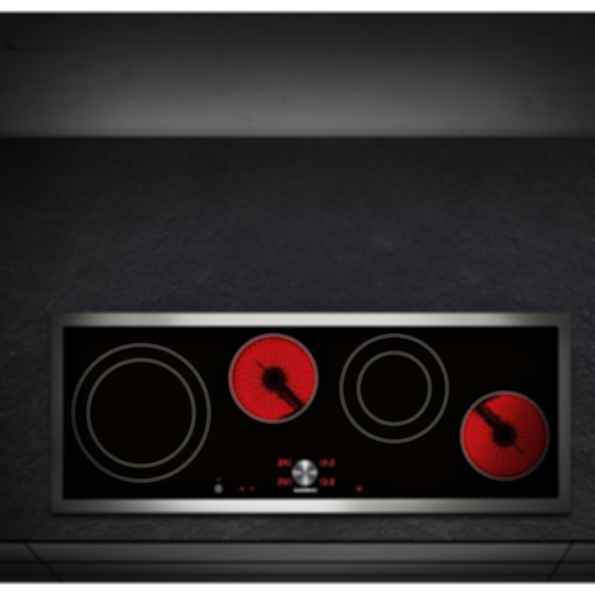 The cooktop also boasts 17 power levels, cooking zone markings, and various automatic functions.